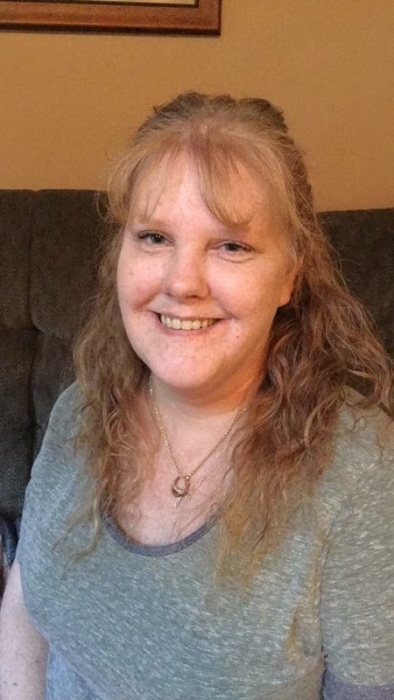 SHINGLEHOUSE, Pa.---Heidi Turk, 45, of Shinglehouse, passed away unexpectedly on Thursday, August 16, 2018. Born on January 31, 1973 on Elmendorf Air Force Base in Anchorage, Alaska, she was a daughter of James P. “Jim” and Gertrud E. “Gert” Gaubatz Kellogg. On May 7, 1994 in Shinglehouse, she married Stephen Turk, who survives. Heidi was a graduate of Oswayo Valley High School, Class of 1991, in Shinglehouse and a graduate of the former Olean Business Institute in Olean, N.Y. She was employed at the Oswayo Valley High School as the Guidance Office secretary for 9 years until retiring due to ill health. She also was the owner and operator of Heidi’s Country Restaurant in Shinglehouse for several years. She enjoyed fishing and solving Sudoku puzzles. Heidi’s greatest love was her children. Surviving in addition to her parents of Shinglehouse are her former husband of Shinglehouse; her three children, twins, Kaylee M. Turk and Hunter M. Turk, and Kelsey C. Turk, all at home; her siblings, Jurgen (Judy) Kellogg of Youngsville, Ben (Melissa) Kellogg of Shinglehouse, Joanne M. (Larry) McCutcheon of Ischua, N.Y., and Jim P. (Dawn) Kellogg of Harrisburg; and several nieces and nephews. Heidi was predeceased by her paternal and maternal grandparents. Private funeral services will be held in the Virgil L. Howard Funeral Home, Shinglehouse, Pa., with Pastor Curt MacDonald of the Myrtle Gospel Tabernacle Church, Shinglehouse, officiating. Burial will be in Bell Run Cemetery, Shinglehouse. In lieu of flowers, memorials may be made to the American Cancer Society. Heidi’s family has entrusted her care to Kevin J. Dusenbury, funeral director/owner of the Virgil L. Howard Funeral Home, Shinglehouse.